Kyle Riener is an Analyst with Exponential Talent. His contributions to Exponential Talent projects focus on analytics and research. Kyle’s expertise enables him to process client-supplied data with Exponential Talent’s D&I analysis model to identify both strong points and critical improvement areas across multiple diversity dimensions. He develops complete, accurate and easily digestible presentation materials for executive decision-makers both at the beginning of a company’s D&I journey and in measuring progress over time. He also analyzes results of employee engagement and company culture surveys to suggest further refinements to the client’s diversity and inclusion strategy. Kyle also tracks mandatory EEO-1 reporting and voluntary diversity disclosures. He performs comparative analyses on those data for clients who want to know where their company’s figures stand in comparison to others in their industry. Prior to joining Exponential Talent, Kyle worked as a Commercial Property Underwriter for American International Group (AIG) in its Excess and Surplus Division. He worked with companies whose operations presented unique and significantly greater risks than standard insurance companies would cover, using data analytics to evaluate risk factors and then crafting insurance policies that would best serve his client’s needs. 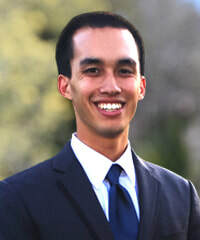 ​Kyle has a Master of Science degree in Business Analytics from the Santa Clara University Leavey School of Business and a Bachelor of Science degree in Applied Mathematics with a minor in Economics from the University of California, Davis.